USCIB has joined with leading private-sector groups from Argentina, Brazil, the European Union and Mexico in a statement on reforming the World Trade Organization (WTO). Meeting at a daylong seminar on April 2 in Sao Paolo hosted by CNI, the Brazilian industry confederation, the groups underscored the critical importance to business of the WTO “as the proper and only way to guarantee the full range of rules and necessary predictability to promote global economic and investment growth.” The seminar, titled “Reforming the WTO: Proposals for Improving the Governance of the Multilateral Trading System,” was co-hosted by the International Chamber of Commerce (ICC). Industrial Development Director of CNI Carlos Eduardo Abijaodi presented the joint statement to Tim Yeend, chief of staff to the WTO director general. CNI and USCIB were joined by Union Industrial Argentina (UIA), Business Europe and COMEX of Mexico to participate in the seminar and to underline shared views on the crucial role the WTO plays in providing and enforcing the vital legal rules and procedures underpinning the global trading system. The five associations emphasized their shared view that the WTO needs to updated and reformed to deal with several outstanding challenges. 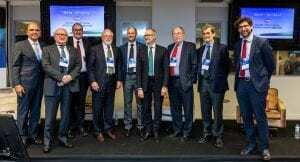 Senior representatives of all five national business groups were panel speakers, offering business perspectives on the importance of the WTO, its challenges, and possible solutions. Global Policy Director for the ICC’s network Nikolaus Schultze also participated actively in the seminar and laid out the need for strong business input into the WTO reform effort. 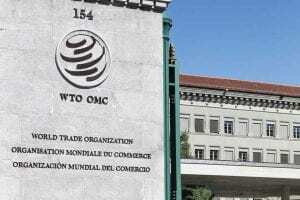 expanding and improving the WTO’s rule-making function. The groups also called upon WTO members to establish a formal consultative mechanism for the private sector via a permanent business advisory committee. The joint statement follows upon USCIB’s earlier paper on WTO modernization, which focused on addressing subsidies and other market-distorting support provided to state-owned enterprises, the establishment of new rules for current issues such as digital trade and customs processes on electronic transmissions, and ensuring a properly functioning appellate body, among other issues. This column is written by Nick Ashton Hart, Geneva representative of the Digital Trade Network, which is supported by USCIB, the International Chamber of Commerce, and the World Information Technology and Services Alliance (WITSA) amongst others. Nick has helped forge new paths forward at the WTO on digital trade rules, and works directly with the 76 WTO Members who have just begun negotiation of a digital trade agreement at the World Trade Organization. At the December 2017 WTO ministerial in Buenos Aires, 71 countries made a political declaration to begin discussing new global rules to facilitate the expansion of the digital economy beneficial to both developed and developing countries. Thanks to intensive work by those countries in 2018, on January 29, on the margins of the World Economic Forum Annual Meeting in Davos, 76 countries (notably including the US, EU, and China) announced the launch of formal negotiations. All the major economies, most of the G20, and many smaller states are all taking part, including some of the world’s poorest countries. In total the vast majority of the world’s economy is at the table. Since it is estimated that the digital economy underpins approximately one-third of global GDP – and rising – this is a negotiation that will impact industry everywhere – and people everywhere. You would think that so important a negotiation would have created a very large increase in the level of engagement by the private sector across the board – in capitals and in Geneva. If you think that, you would be wrong: many delegations are surprised that entire economic sectors are not engaged despite the potential ramifications on their businesses. The Ambassadors of some of the world’s largest economies tell me that their ministry is not hearing from the private sector in the capital, or they are hearing only generalities and not the specifics necessary to create negotiating positions. The intensity of activity by the private sector in Geneva is also not much different now than it was in 2017, or 2016 or 2015. To give you an example of how serious the problem is, almost half of the written submissions to the talks during 2018 reference financial services – yet many Ambassadors say they cannot remember the last time a representative from a bank came to see them. The private sector’s limited engagement could be explained by the fact that their limited pool of experts are busy elsewhere trying to prevent a trade war or keep their companies out of escalating tariffs. The relative newness of the talks could also explain it. Whatever the reason, for me to hear increasingly frustrated ambassadors across countries at all levels of development asking me ‘where is business and when will they tell us in specific what they need and why’ when a negotiation has already started is, frankly, worrying, especially given that the participating 76 states have agreed to table proposals by mid-April of this year with the objective of having a draft agreement by the end of July. While in my view that timeline is likely to slip, clearly time is of the essence. Will data flows be protected from trade distorting interference – interference which is presently growing globally – and how will the need to ensure other public policy priorities like the protection of personal information be factored in? 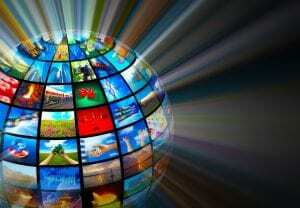 Should the moratorium on applying customs duties to digital goods be made permanent? What can trade policy do to foster consumer and business trust in purchasing goods and services across borders? How can trade rules promote use of digital contracts, adoption of digital signatures and customs and logistics processes, and make trade finance easier to get and use, all to help SMEs trade more? The trade policy community needs and deserves the best advice both in Geneva and in national capitals as they work to answer these big questions. The answers could profoundly benefit not just commerce but everyone. But as I have so often heard from delegations – and I have often said it myself – if countries don’t understand what’s in it for their economies in adopting new rules to promote digital trade, they won’t. The private sector has a critical role to play in making that case. So far, frankly, it is failing to do that effectively enough. Meanwhile non-governmental organisations that are skeptical, or opposed, to any new rules for the digital economy are both well-organised and very active in Geneva and international capitals. This statement will be released on April 1, signed by a very large number of NGOs, on the first day of the biggest digital-trade event of the year in Geneva, UNCTAD’s Ecommerce Week. You can find a large collection of NGOs have been active for many years on-the-ground and there are several people employed in Geneva just on trade policy advocacy generally opposed to any new trade rules related to the digital economy. Meanwhile, the only dedicated industry person in Geneva on digital trade is myself. Opportunities like these negotiations don’t come by very often in international affairs: time is short. The private sector has been asking for new rules for online trade for years. Now is the time for it to make clear what it needs and why in enough detail and invest in helping countries at all levels of development understand why it matters to them … or watch the opportunity slip away. 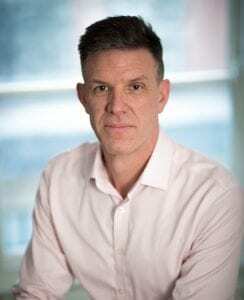 Nick Ashton-Hart is the Geneva representative of the Digital Trade Network. You can follow him at @nashtonhart. Washington, D.C., March 13, 2019 – Responding to this week’s hearing in the Senate Finance Committee on the future of the World Trade Organization, the United States Council for International Business (USCIB), which represents America’s most successful global companies, has submitted a business roadmap for the WTO laying out priorities for the organization’s modernization. “The continued existence and effectiveness of the WTO is vital to U.S. business,” stated USCIB President and CEO Peter Robinson and USCIB Trade and Investment Committee Chair Charles R. Johnston in their transmittal letter. USCIB’s roadmap focuses on addressing subsidies and other market-distorting support provided to state-owned enterprises, the establishment of new rules for current issues such as digital trade and customs processes on electronic transmissions, and ensuring a properly functioning appellate body, among other issues. The statement notes that the U.S. has been a major beneficiary of the WTO’s dispute settlement system, bringing and winning more cases than any other WTO member. “In fact, the U.S. has prevailed in over 90% of the complaints it filed,” USCIB observed. 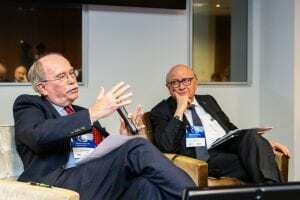 USCIB urged WTO members to actively solicit the views of the business community, which undertakes the vast majority of cross-border trade and investment that is impacted by WTO rules. “The private sector has a direct stake in the rules that will be the outcome of the government-to-government discussions and, accordingly, private sector comments and recommendations should be actively solicited and given careful consideration,” the statement said. USCIB promotes open markets, competitiveness and innovation, sustainable development and corporate responsibility, supported by international engagement and regulatory coherence. Its members include U.S.-based global companies and professional services firms from every sector of our economy, with operations in every region of the world, generating $5 trillion in annual revenues and employing over 11 million people worldwide. As the U.S. affiliate of the International Chamber of Commerce, the International Organization of Employers and Business at OECD, USCIB provides business views to policy makers and regulatory authorities worldwide, and works to facilitate international trade and investment. More at www.uscib.org. Washington, D.C., February 26, 2019 – The United States Council for International Business (USCIB), which represents America’s most successful global companies, has joined with an array of U.S. companies and industry associations to urge swift approval by Congress of the United States-Mexico-Canada Agreement (USMCA), an updated and modernized framework for expanded trade, investment and market integration in North America. The USMCA Coalition, encompassing more than 200 leading companies and major associations representing farmers and ranchers, manufacturers, service providers and technology companies, was formally launched today. Click here to read the coalition’s statement on the launch. Robinson added that USCIB would also work closely with its counterpart organizations in Canada and Mexico, as well as with its global business network, to advance the USMCA as well as open, rules-based trade and investment regimes more broadly. Eva Hampl provided testimony before the Trade Policy Staff Committee, chaired by USTR, on January 29. USCIB supports negotiation of a comprehensive trade agreement with the UK as part of a broader strategy to open international markets for U.S. companies and remove barriers and unfair trade practices in support of U.S. jobs. Following USCIB’s submission on January 16 to USTR regarding negotiating objectives for a U.S.-UK Trade Agreement, USCIB Senior Director for Investment, Trade and Financial Services Eva Hampl provided testimony before the Trade Policy Staff Committee, chaired by USTR, on January 29. Hampl’s testimony also emphasized the importance of regulatory cohesion across the United States, the UK and the European market as a key component in further liberalizing trade. Regulatory discrimination and differentiation between trade partners can be an obstacle to trade, investment and the ability to conduct business. Affected sectors include pharmaceuticals, chemicals and fintech. Regarding intellectual property (IP) protection, Hampl noted that at a minimum, a U.S.-UK agreement should enshrine existing protections and enforcement mechanisms. It should also address sectoral IP issues, such as in the pharmaceutical space. To read Hampl’s testimony, please click here. Given a recent request for comments by the United States Trade Representative (USTR), USCIB submitted negotiating objectives for a U.S.-UK Trade Agreement on January 16. USCIB believes that continued U.S.-UK free trade is overwhelmingly in the interests of both countries and their global trading partners, provided that the agreement is a high standard and comprehensive bilateral trade and investment agreement. The UK is an important trade partner for the United States, currently being the seventh largest goods trading partner of the United States. 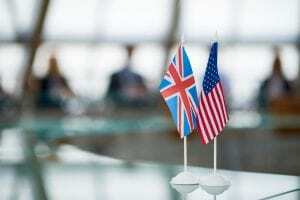 U.S. goods and services trade with the UK totaled an estimated $231.9 billion in 2017, with exports totaling $123 billion. 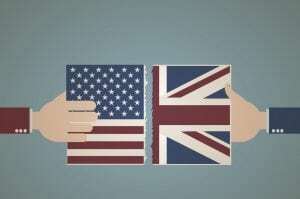 The submission also emphasized the importance of improved regulatory cohesion across the United States, the UK, and the European market, which would likely be among the greatest gains from a future trade agreement between the United States and the UK. USCIB’s submission also recalled its support of a comprehensive, high-standard Transatlantic Trade and Investment agreement, eliminating of tariff and no-tariff barriers on goods and services trade, including between the United States and the UK. The range of issues that were on the table at the time, ranging from strong investment protections, to increased trade facilitation, and regulatory coherence, continue to be of great importance to USCIB members. USCIB will also provide testimony at the public hearing scheduled to take place on January 29, 2019 before the Trade Policy Staff Committee (TPSC) at the United States International Trade Commission. The video was presented at USCIB’s 2018 International Leadership Award Gala, which honored Unilever CEO Paul Polman. The Winter 2018 issue of USCIB’s quarterly International Business magazine is available here. 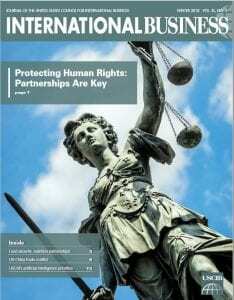 The issue features a timely column by USCIB President and CEO Peter Robinson titled, “Upholding Human Rights Requires Strong Partnerships.” The issue also features news stories on USCIB’s leadership in promoting food security and nutrition partnerships, the U.S.-China trade conflict, and USCIB’s artificial intelligence priorities, plus news from our global network–Business at OECD, the International Organization of Employers and the International Chamber of Commerce. “International Business,” USCIB’s quarterly journal, provides essential insight into major trade and investment topics, a high-level overview of USCIB policy advocacy and services, USCIB member news and updates from our global business network. Subscriptions to “International Business” are available free upon request to representatives of USCIB member organizations. Contact us to subscribe. Non-members may subscribe to “International Business” and other USCIB print publications at an annual rate of $50 (U.S.) for domestic delivery, or $75 for overseas delivery. Contact us to subscribe. USCIB’s annual report, studies from the United States Council Foundation and related publications are included with your paid subscription. Our free electronic newsletter, “International Business Weekly,” provides regular updates on USCIB’s major activities and priorities. Click here to view a sample issue. Click here to subscribe. We welcome outside submissions and inquiries regarding our publications – send them to news@uscib.org. We welcome advertising in International Business magazine — special discounted rates for USCIB member organizations! Contact Kira Yevtukhova (kyevtukhova@uscib.org) for more information. 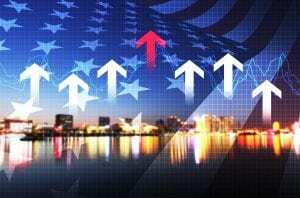 USCIB’s voice and views were reflected in many of the top stories of the past several months, which saw a heavy focus on taxes, trade and tariffs. USCIB and its global network were featured prominently in numerous stories covering NAFTA modernization, China tariffs and the OECD’s work on global tax policy. In discussing G20 trade tensions, USCIB Senior Vice President Rob Mulligan sat down with BBC World News to do a live television interview. Mulligan said that Trump is right to address the balance of trade between the U.S. and China, but that tariffs aren’t the answer and will ultimately cause higher prices and job losses. To read more of USCIB activity in the media, please visit this link. Digital technologies and the online environment enabled by them present unprecedented opportunity to raise productivity and generate economic growth. Close cooperation with business can ensure that regulatory approaches create a holistic framework that enables business investment. 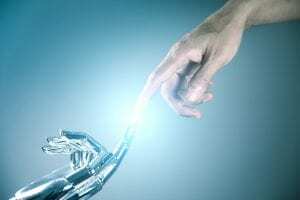 In response to a Federal Register request for information concerning the National Artificial Intelligence (AI) Research and Development Strategic Plan, USCIB submitted comments outlining AI policy priorities. The comments submitted by USCIB emphasized that serving as essential complements are policies that encourage both private investment and public-private partnerships in the R&D needed to drive innovation and realize the potential of AI and other emerging technologies. Such policies are most effectively developed when informed by stakeholder engagement.